E-2 Visa: A great alternative to EB-5 | The Law Offices of Yuri Tsyganov, P.L. Today I met with a gentlemen from Canada. He is of middle age and has done very well in his professional life. His main goal is to travel to and from Canada to the U.S. without the dealing with the “friendly” treatment by Customs and Border Protection (CBP). Although he can certainly afford the $500,000 USD EB-5 visa investment, we both decided that the E-Visa is his best choice. For those not interested in permanent residency in the U.S. For those who’s children are grown up and have left the parental nest. For those who simply want to own their business and stay busy. Try the E-2. There are about 57 countries around the world that qualify for the E-2. The investment amount is proportionate to the type of business you are investing in. 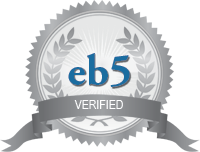 There is no “magic” number when it comes to the EB-5. However, the more you invest the better. The investment can be in a new or existing business, but you must own at least 50% of the entity. The process does not take a long time to finish and the USCIS looks very favorably on to this type of visa. My client will most likely invest in a smoothie and soft served yogurt franchise in South Florida, which is an excellent choice.